Yes! 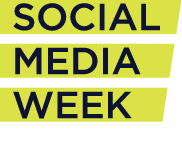 Social Media Week (SMW15) is coming real close again as date had been Announced, Social Media Week (SMW) is scheduled to hold from 23rd to 27th February, 2015. VENUE: Plot 2&3 Water Corporation Road Victoria Island, Lagos, Nigeria. NEXT CONFERENCE is FEBRUARY 23 - 27, 2015. I have taken a full cup of my time to pile up a throwback of my own experience with them on the Last event and All you have to know about the upcoming SMWLagos including the Theme and location of the event. A SMALL WIKI ON SOCIAL MEDIA WEEK. Social Media Week had been around, Over the past six years working with everybody — our community — to capture, curate, and share the most meaningful ideas, trends, and best practices with regard to technology and social media’s impact on business, society and culture. They hold the events globally once a year, in some countries more than once... centers include the U.S, Hong-Kong, Johannesburg, and many others, fortunately for us...in Lagos too, where it launched their very first event, SMW Lagos in 2013. 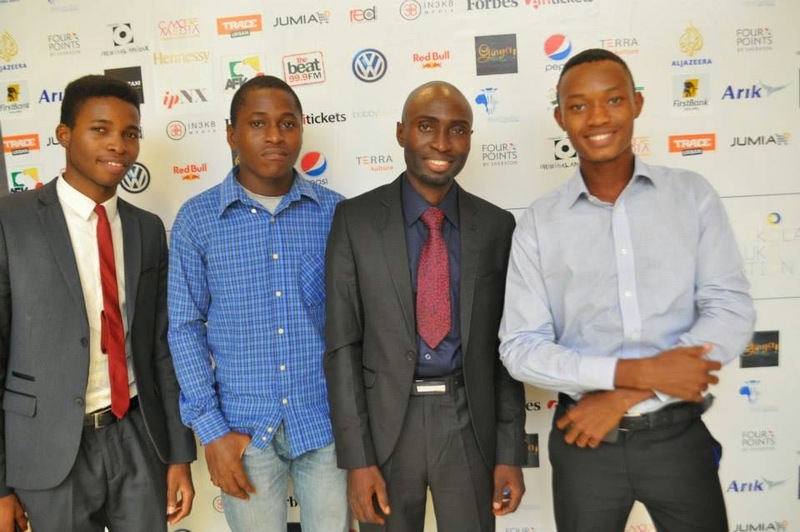 There were lots of interesting SMW Lagos events held at different locations through out that week. The event I attended was Titled: WORDPRESS NIGERIA: SEO + SECURITY + PAYMENT -Best Practices For Website & Blog Management. I was opportuned to meet few of the great Personalities who ruled the blogosphere in my country, I met the likes of +Don Caprio , a great blogger in tech blogging and +OloriSupergal another Amazing blogger rocking the Entertainment niche. We engaged, discussed and shared posts about the event on Facebook,Twitter, Google+ and Instagram with the Hashtag #SMWWordpressNG. +Don Caprio was one of the amazing Speakers that day. During and after the conference, The Social Media Week Crew gave us some photo shots. Looking for me? I am the ugly dude wearing sky-blue colored sleeves, smiling by the extreme right, next to Don Caprio, then Ejiro (guy on check-blue sleeves & jeans) a close friend of mine who's also a good WordPress site-builder. The most interesting thing about the event for me, was the fact that I got to meet some Great Entrepreneurs, Celebrities, Entertainers and most importantly, the Finest Bloggers in my country. Although I wasn't chanced to announce the conference SMW14 here on EDITWEAKS this year, I can't afford to let you my dearest readers know about the next one SMW15 this time around. #SMW15, WHAT IS IN IT FOR YOU? Well, I'll keep it brief, by using major Questions to answer us. The global theme for the February 2015 edition of Social Media Week as sponsored by Microsoft. is Upwardly Mobile: The Rise Of The Connected Class. “Upwardly Mobile: The Rise of A Connected Africa." Unlike last time where SMWLagos was held at different places, they won't be stressing anybody in 2015, all events had been scheduled to hold in One Big Beautiful place. It's a newly built 2,300 sq. meters (24,000 sq. ft), state of the art event space in Lagos, Nigeria. HOW YOU CAN PARTICIPATE.... OR GET INVOLVED. There are up to 4 Great Ways To PARTICIPATE in the Social Media Week Lagos this FEBRUARY 2015. Everyone who wants to part-take in the event can also engage, Connect and keep in touch by using the Hashtag #SMW15 on Facebook, Twitter and GooglePlus. For more Info and Updates, visit their link which I had already shared up there. Now you too should Invite your friends too, click the LIKE Button, Share it on Facebook, or Tweet it with the buttons below. excellent blog post! thank you so much.